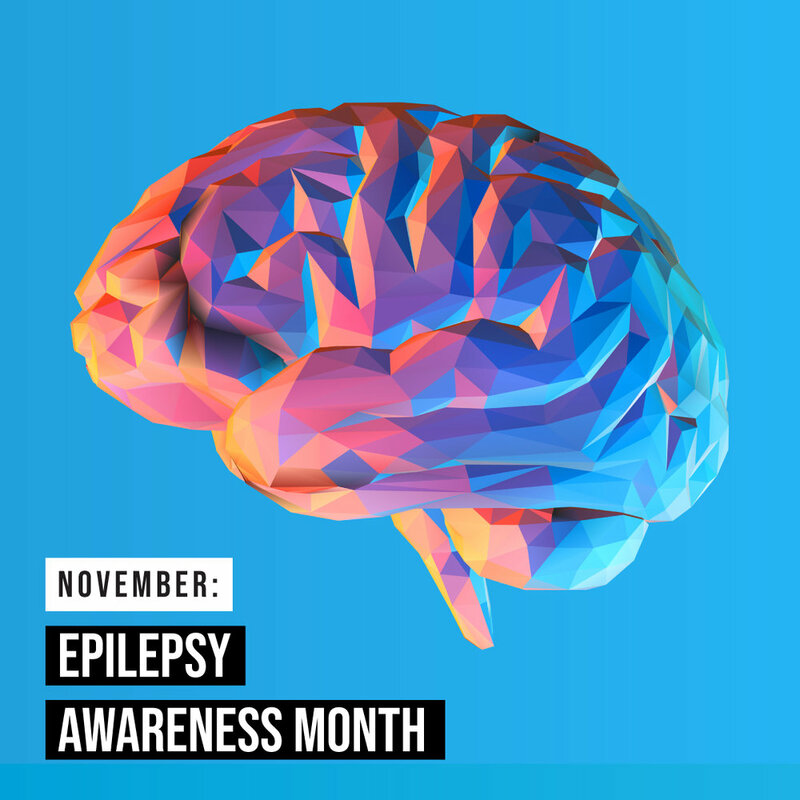 November is National Epilepsy Awareness Month, which brings awareness to the fourth most common neurological disorder worldwide that effects people of all ages. Currently, there are over 3.4 million people in the United States living with active epilepsy — more than Autism Spectrum Disorders, Parkinson's, Multiple Sclerosis and Cerebral Palsy combined. Surprisingly, one in 10 people will have a seizure and one in 26 will be diagnosed with epilepsy over a lifetime. Epilepsy is characterized by unpredictable seizures that vary from person to person, often causing other health problems. These seizures can occur in a pattern or just by chance, but epilepsy patients can be prepared by keeping track of triggers that may cause the onset of a seizure. The use of medical cannabis in treating epilepsy has been studied for several years and shows promising results. Early research and data collected from lab studies, along with anecdotal evidence, suggest that CBD can help control seizures. One of the most well-known patient success stories is Charlotte Figi, a young girl whose rare form of epilepsy (Dravet Syndrome) caused her to suffer up to 300 grand mal seizures a week by the age of 5. After exhausting all clinical treatments and losing hope, Charlotte’s family turned to a CBD oil extract. The first week after administering the first dose, Charlotte had an astonishing zero seizures. She now has a cannabis strain named after her and her incredible story of healing — Charlotte’s Web. CBD interacts with cannabinoid receptors in the body’s endocannabinoid system and acts as an anticonvulsant. One of the most influential studies comes from the New England Journal of Medicine, which found that patients taking doses of Epidiolex, a CBD pharmaceutical, experienced fewer epileptic seizures and fewer seizures overall. At Charm City Medicus, we offer several CBD-dominant strains and products to help treat a variety of illnesses, including epilepsy. Seizure disorders effect a large number of young patients and we are proud to offer a 15% children’s discount at our Baltimore dispensary. We welcome new patients and caregivers that would like to learn more about the benefits of CBD to visit us, or set up a consultation with our on-site pharmacist. "Green Friday" at Charm City Medicus!